Dirty Projectors’ self-titled new album, reviewed. Dirty Projectors’ first release in five years is a one-man breakup album that can’t count on listeners’ sympathies. And it doesn’t. 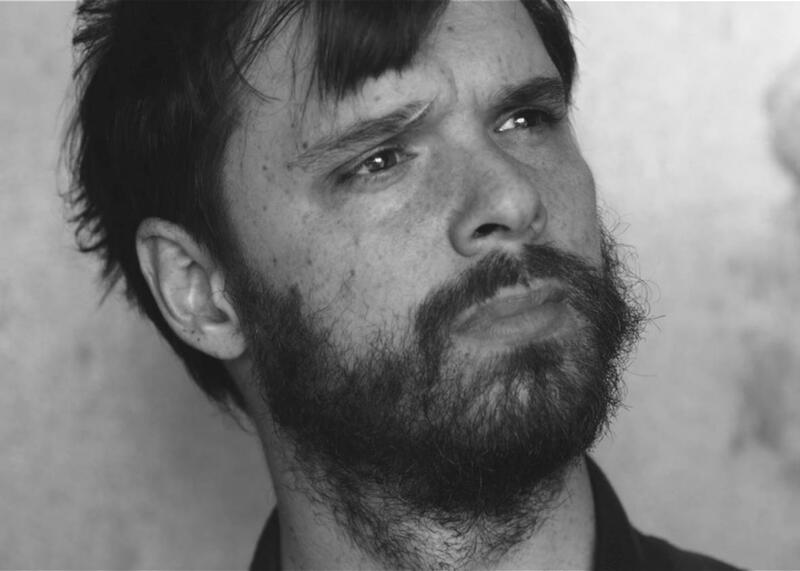 David Longstreth of Dirty Projectors. Again: Yuck. The great young artiste’s collaborator broke up with him, and now she’s a shallow fame-whore to whom he’s refusing the honor of his daddy’s name in marriage? Was this just a disappointingly sulky display of white male fragility on the part of a musician I’d respected? Maybe all the real vitality of Dirty Projectors’ modular, rotating-tesseract compositions had come from the dodgeball instrumental interlock and braided vocal harmonies of the women in the band—including Coffman, who has her own first solo album coming out in 2017. I shut my browser window and didn’t try the song again. So when the album finally came out last week, nine tracks titled simply Dirty Projectors, I approached with caution. And with prejudice. Sitting through Dirty Projectors the first couple of times was my most uncomfortable listening session since I first heard Vulnicura by Björk two years ago though in very different, even opposite ways. The comparison was hard to resist, and not just because Dirty Projectors and Björk once made a lovely record together: Mount Wittenberg Orca in 2011. Both Björk’s and Longstreth’s albums are close-ups on the emotional arc of a separation (in her case, from ex-husband and art-world star Matthew Barney) and the protagonist’s attempts to survive and move ahead. Each has lyrics that come across like entries ripped from diaries as well as angry outbursts at the departed transgressor. Both stretch out with a compulsive physicality. Björk combines her cries of pain with the scrapes and bangs of waveform generators and dissonant string orchestrations. Longstreth multitracks his voice, in all manner of tones, into choral arrangements over waves of keyboards and electronic beats and horns and more, in styles that cycle through R&B, hip-hop, jazz, gospel, and the Baroque. (He made it mostly on his own with various guests stepping in to give more of a live feel to his initial digital pastiches.) Each album begins from a state of agitation and ends on a note of renewed peace. Most of all, they are both discomfiting because no matter how much one might try to keep it out of one’s mind, the autobiographical correspondences are too present. We’re too aware of the real person being addressed. In this way they’re also both like Lemonade, too: Every time Beyoncé sings “you,” an image of Jay Z flashes in the photo booth of the mind and the listener can’t help wondering how he’s reacting in the world to the songs. The breakup album is a broad, long-standing genre, but celebrity-to-celebrity breakup albums (or in the Projectors’ case, micro-celebrity to micro-celebrity) are a peculiar and more claustrophobic subset. And yet, true to my first listen to “Keep Your Name,” the initial effect of Dirty Projectors was the complete reverse of Vulnicura’s, or for that matter Lemonade’s, because the power dynamics cannot be the same. Björk’s album immediately struck me as an attempt to bring to light a highly intimate and particularly female form of grieving and self-talk, to reflect on the way such stories had been told in “women’s forms” like melodrama and soap opera and diary as well as newer traditions of body and performance art. Beyoncé’s narrative, likewise, was clearly not just about herself but about generations of black womanhood, and of the routines and patterns that black men and women alike have been trapped in by cultural expectation and repression. A white guy singing about his breakup, on the other hand? He just joins a long line of dudes denigrating the woman he thinks has done him wrong. Björk didn’t make me fret much for Matthew Barney, nor did Beyoncé for Jay Z. They might catch a few sniffles from the exposure, but they’re prominent men with security to spare. Fairly or not, I couldn’t help presuming they had at least some of it coming. Because I live in the real world of men, women, and inequality, I couldn’t give Longstreth, as the better-known male partner in a one-sided exchange, the same benefit of the doubt. From Twitter to the White House, white guys have been backlashing like crazy lately, taking deep umbrage whenever someone dares to suggest that inequality exists. (In fact, they’re the least racist or sexist person you’ve ever seen!) 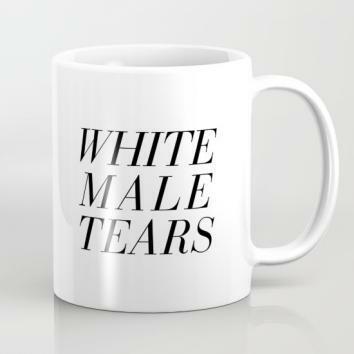 As a result, the image of “white male tears” has become a trope of feminist mockery—let’s drink them up, bathe in them, savor them, they laugh. Of course, they aren’t saying white men aren’t human, but that we have to stop regarding ourselves as the most human humans and even acknowledge our power sometimes facilitates less-than-humane behavior. So it is difficult not to hear Longstreth’s album as something he is doing to his ex: a passive-aggressive act of revenge. She may get right of reply on her own album, but no doubt it will be less-hyped and less-heard. He, after all, has been the one that during Dirty Projectors’ hiatus got to collaborate with everyone from Joanna Newsom (as an arranger) to Solange again (he worked on her acclaimed A Seat at the Table) to Kanye West (among other material that didn’t make West’s The Life of Pablo but might surface someday, Longstreth wrote the far-out bridge to West’s otherwise fairly straightforward 2015 hit with Rihanna and Paul McCartney, “FourFiveSeconds”). And he’s the one who got to the keep the band’s reputable name. … Oh, wait. Is it possible I was hearing “Keep Your Name” wrong? What if its worst accusation was actually not lashing out but self-criticism? Pronouns and points of view continue to flip back and forth throughout the album, so it’s often hard to tell whose perspective Longstreth means to embody, even when guest vocalist Dawn Richard duets with him on “Cool Your Heart.”* This is dicey, because he risks putting words in his ex-partner’s mouth. (Just as he could be accused of racial appropriation for his drawling, almost-Future-like rapping and myriad R&B–borrowed gestures, though I’d venture that his genre-jumping style makes the quotation marks audible enough.) But it can’t be accidental that he blatantly reverses and contradicts himself from one song to another, especially between the first and second halves of the record. I suspect listeners aren’t meant to take Longstreth for a reliable source here, much less take his side. Yes, the album has a visceral, documentary feeling. But documentaries often operate by setting up assumptions that are kicked out from underneath the viewer by the end. The more I listen, the more I think that Dirty Projectors is doing the same. A confession: Until my early 30s, around Longstreth’s current age, I dealt badly with breakups. Where both Björk’s and Dirty Projectors’ albums are built around the classic stages of grief, I tended to get stuck for a year or more at the “bargaining” phase, thinking I could repair the breach with enough feeling or enough emotional sophistry. In retrospect, I realize my expectations were cultural, that they had been set up by patriarchal romantic narratives. My attendant lack of grace in those situations is one of my two or three biggest shames. Likely what made Dirty Projectors such unpleasant listening for me at first was being reminded of that immature-male maelstrom. That species of irrational behavior is a result of not understanding the paradox that’s rehearsed in the various versions of the Jacques Lacan thesis quoted above: Love is giving something you don’t have, because love is a transaction, an exchange, not an essence that you as an individual contain. What you do have is the yearning to fill a void, the lack of meaning that comes built into the human experience—an absence that pulls us, that structures our desire. Love is advertised as if it can fill that gap, but that gap is unfillable by nature. But love is also giving something to someone who doesn’t want it, because no one wants to be deeded possession of your inner void. (They’re busy trying to fill their own.) So many of love’s toxic patterns arise from that fissure: Why aren’t you doing this impossible thing for me? Don’t you love me? And finally, the person you’re trying to give your void to doesn’t exist because of this tendency to project, to mistake people for solutions (which leads to mistaking them for problems, too). This whole chain of illusions causes us to put unsustainable pressure on each other, to miss our loved ones’ real specialness, and treat them as less-than-human humans. If the album, before that, has been uncomfortably intimate, much too close, and needy and sour, I think that’s the intention: Longstreth has been giving us a case study in this kind of emotional disorder, particularly (though not exclusively) the masculine variety. There are little signals throughout: I particularly like the way that text-message sounds and ringtones are used as beats in “Little Bubble” and “Winner Take Nothing,” for instance, to make us question whether we are dealing with modern miscommunications, mishaps of the age of the selfie. The enticing Brooklyn-bohemian idyll “Up in Hudson,” seemingly a blow-by-blow account of his and Coffman’s art-and-love story, begins with allusions to the classic “The First Time Ever I Saw Your Face,” which was written by English folk singer Ewan MacColl for his wife-to-be Peggy Seeger to sing (her voice is sampled at the top of Longstreth’s track) and covered famously by Roberta Flack. But it ends with our song-crossed lovers pictured far apart, in Los Angeles and New York, listening to Tupac and Kanye in separate but much more up-to-date soundworlds. In all these interpretations, I might be giving Longstreth way too much credit. No doubt many of these songs did begin from explosive emotions, the kind of fits of heartbroken pique that have long inspired male songwriters, from the first singers of misogynistic murder ballads through the Rolling Stones and the pouty boys of emo. But Longstreth was, I think, too self-aware to leave it at that. Rather than another album about why a woman just didn’t fathom her man’s sensitive soul, it became an album about what boys so often don’t get about love. Not everyone needs to hear that (though the richness of the music may compensate even then), but let’s hope it reaches a few who do, because it’s been too long in coming.